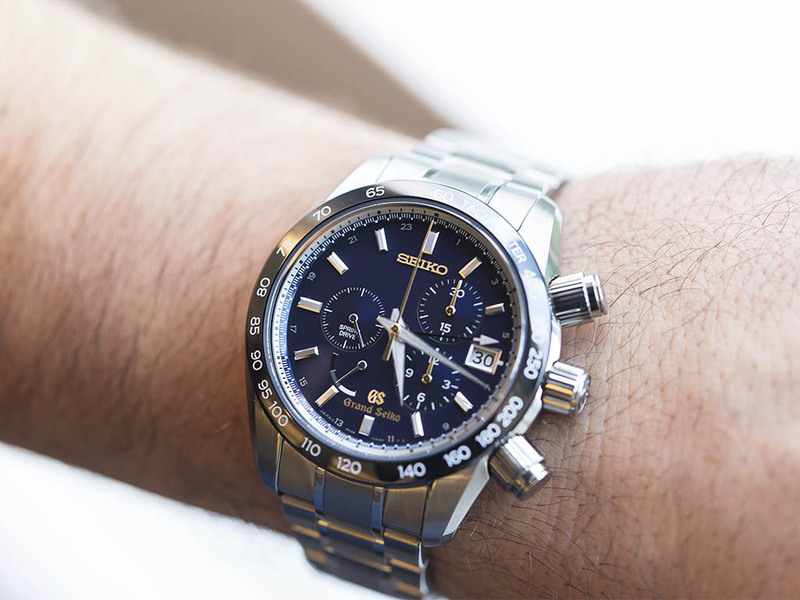 The watch's case is made of titanium. 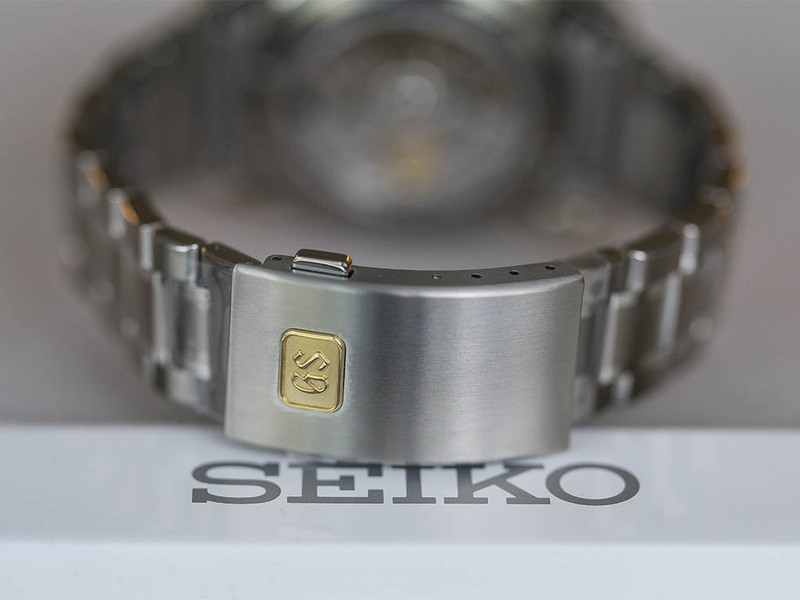 Let me remind you that, the titanium SEIKO uses for Grand Seiko models is different from the conventional type. It has higher density which provides excellent protection for aging effects of use. The case has 43.5mm diameter and features both satin brushed and mirror polished surfaces. Undoubtedly, the satin brush finish, which takes the majority against polish finish, fits the sporty character of the watch nicely. With it's 16.5mm height, SBGC013 has it's own wrist presence which should not be wasted by hiding it under a shirt's sleeve. In the meantime SBGC013 is the first model featuring the use of ceramic as a case component material for the first time in SEIKO. The bezel is made of deep black ceramic. Though the watch bears a balanced combination of elegant and sporty looks, the crown and pushers are not that elegant at all. 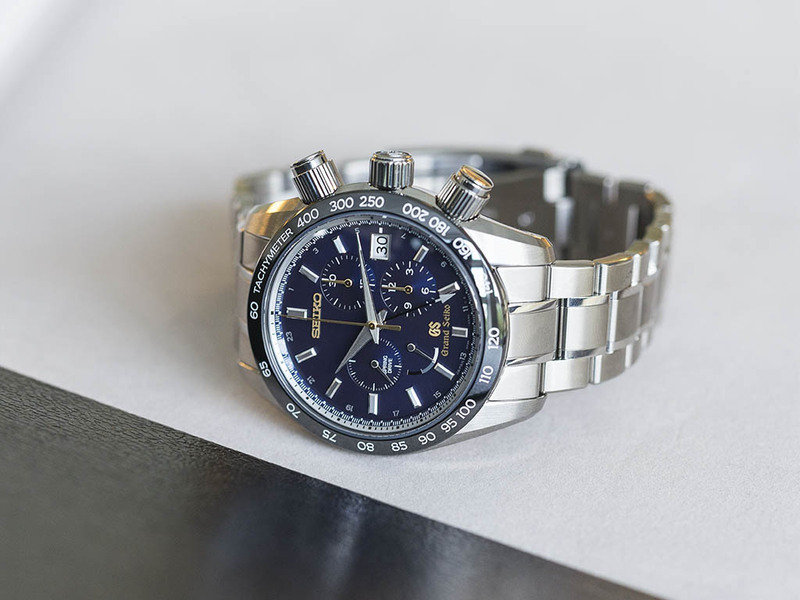 We are all familiar with big, hefty crowns in sport watches but, the size of the chronograph pushers in that watch wipes out that familiarity in a second. In the meantime, this design feature is not solely for aesthetic reasons only. In fact, SEIKO engineers worked on the push button feel to get the best possible feel ever ending up in a design which works similarly to a camera's trigger. There are two levels, half pushed and full pushed, which provides the same tension to the chronograph pusher spring irrespectively of how hard the pusher is pressed making the operation smooth and solid. It is obvious that the idea behind the design is very refined however, it does not help the issue of pushers being oversized. 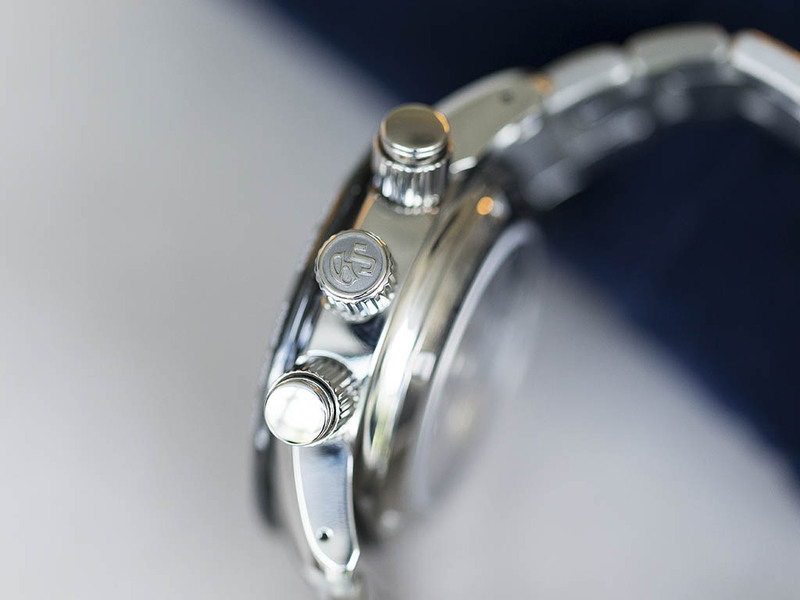 GMT and chronograph function featuring SBGC013 has both sapphire crystals on front and back. While the front sapphire displays the beauty of the dial perfectly in every angle thanks to it's anti reflective coating, the back side window allows the wearer to watch thehi-tech Spring Drive caliber. The metal frame around the display back features information about the watch. 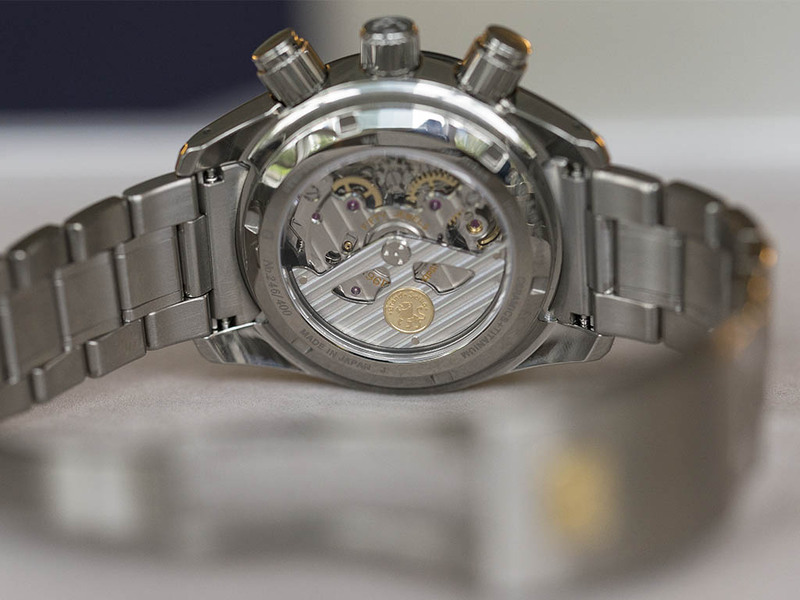 The bracelet of the watch is made of titanium as well. Just like the case, the majority of the surface bears satin brushed finish. Being made of big links, the manufacturing quality of the bracelet is quite good as expected from Grand Seiko product line. Thefolding clasp feels comfortable on the wrist and adds a touch of prestige via the nicely located 18K gold GS logo. The dial of SBGC013 is a different story. Especially the cobalt blue tone used in the dial is simply amazing. Thanks to the AR coating on the front crystal, the beauty of the dial is shown flawlessly in every angle presenting the superior dial making style of Grand Seiko. Considering the watch's functions such as sub second, date, power reserve, GMT and 12 hour chronograph, one can easily appreciate how successfully the dial has been designed as none of those functions blocks the readability of the dial. The 18K gold Grand Seiko and GS ambles are again nice additions. 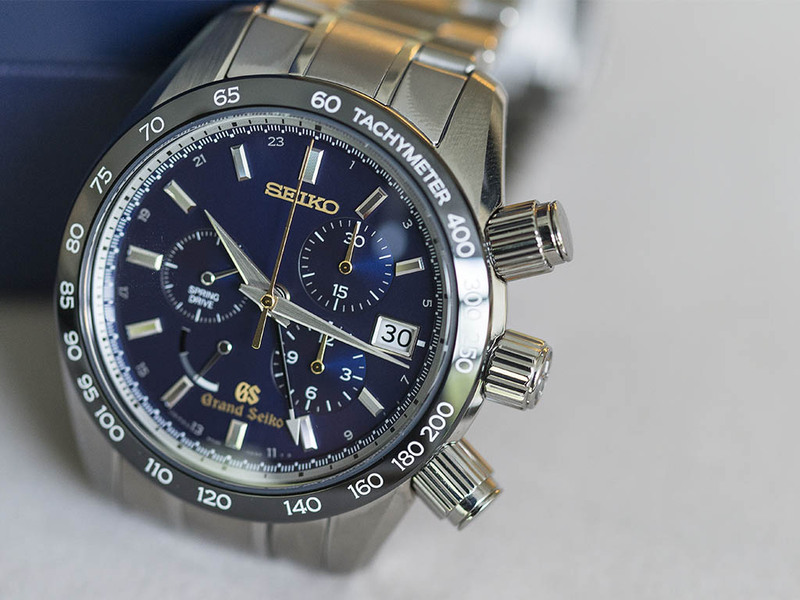 SBGC013 is powered by the SEIKO's hi-tech caliber; Spring Drive. 9R96 reference caliber offers 72h power reserve when fully wound. With it's +/- 10scn per month accuracy, it's time keeping performance is better than most of the quartz calibers. The caliber's decoration is nothing less than it's rivals of Swiss origin featuring an 18K gold GS logo on the custom designed rotor. As we mentioned before, Spring Drive is a hybrid design which features both mechanic and electronic parts inside. The system is quite similar to traditional mechanic calibers except the use of quartz regulator instead of a classic balance wheel. Most watch enthusiasts still do not take Spring Drive as a mechanic caliber. Though it sounds right in theory, I believe it's nothing but a hi-tech and user friendly caliber which takes the best parts of two different worlds. I might say that I like the watch in general. 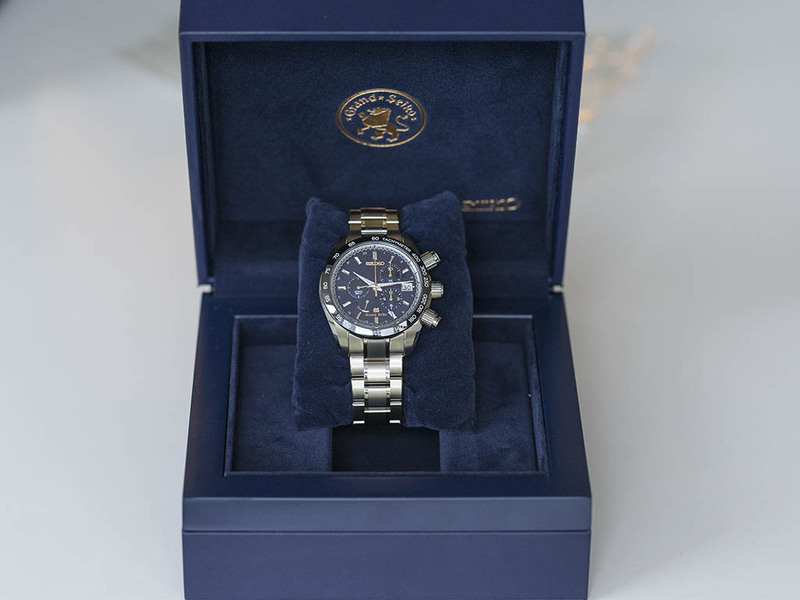 While meeting with all the criteria of Grand Seiko product line, the striking cobalt blue dial is the part that amazed me most. In the other hand, the oversized chronograph pushers are the only parts that get my negative comments though I know that they are designed that way for a purpose. 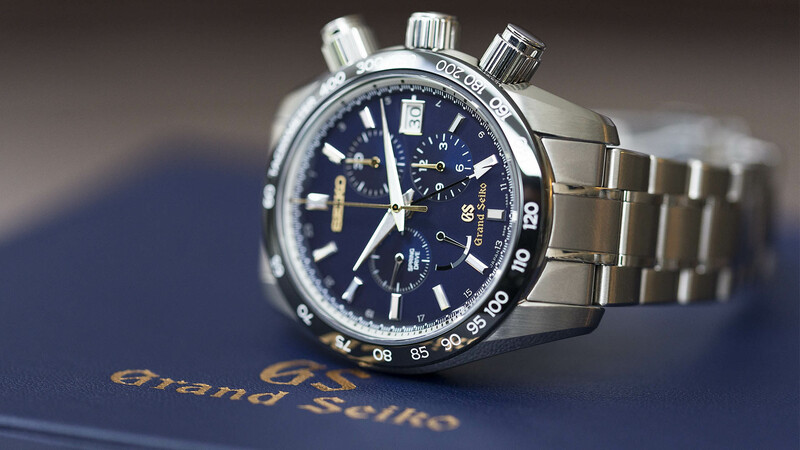 I strongly suggest this watch to anyone who is in search for a sporty chronograph. 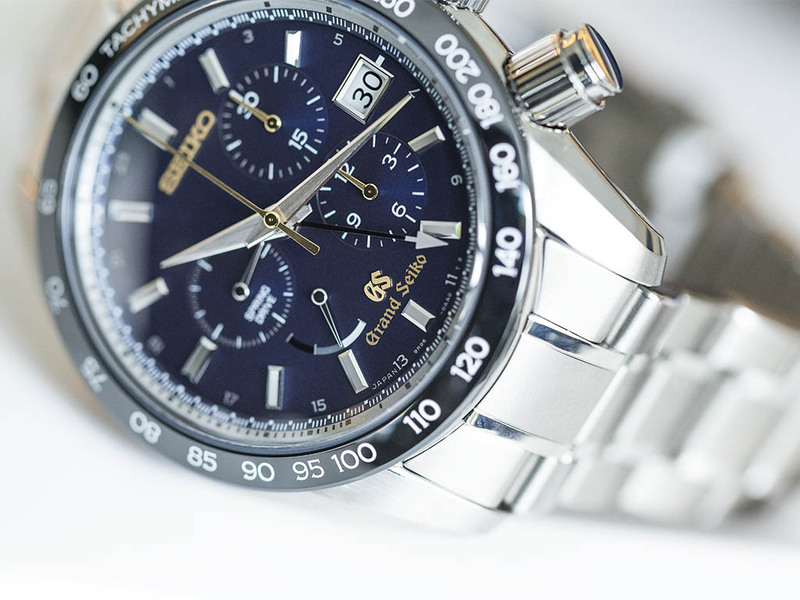 Beside the Grand Seiko product line's standard features like perfect craftsmanship, simple but practical design and rarity compared to generic brands, SBGC013 is supplied with limited edition, Spring Drive's ultimate accuracy and the stunning blue dial as bonus.